YaVaughnie Wilkins, CEO of 21 Yellow Tulips™ and executive producer, completes The Glamorous Lie documentary; A chronicle of one woman’s triumph over one man’s lie. The headline grabbing public breakup, YaVaughnie Wilkins overcomes is detailed as well as all that she overcomes to regain control of life. 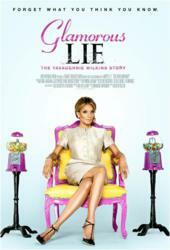 "I agreed to executive produce The Glamorous Lie because I wanted to tell my story in my own way. Media interviews alone would not have done my story justice. YaVaughnie Wilkins of 21 Yellow Tulips™ has produced a feature-length documentary, The Glamorous Lie. The documentary tells how one woman has overcome adversity and seemingly insurmountable obstacles to emerge from both the shadows of notoriety and years of struggle to find happiness and success as she steps into the future. YaVaughnie Wilkins shares her never-before-told story with the world… a story most would see as a fantastic fictional drama: high-profile boyfriend caught cheating, scorned girlfriend seeking very public acknowledgement and billboards depicting couple snuggling throughout the country with the message “you are my soul mate forever” posted larger than life over the streets of New York, Atlanta and Silicon Valley. But this was no fictional drama: it was, and it is, real. The Glamorous Lie tells Wilkins’ full account of the years leading up to and during the relationship with [Charles Phillips, Jr., former President of Oracle Corporation, appointed member of the President’s Economic Recovery Advisory Board and now CEO of Infor. A relationship that ended in the public arena… broadcasted all over the Internet, headlining newspapers and was a gold mine as jokes for comedians. A video clip and photos of The Glamorous Lie documentary can be view at http://www.21yellowtulips.com/the-glamorous-lie. 21 Yellow Tulips™ independently produces feature-length documentary and narrative films and publishes original literary works. 21 Yellow Tulips ™ strives to create and encourage the production of filmed entertainment and literary projects that have important life lessons to share with open-minded audiences. They embark on each project with the purpose of presenting a different perspective than that offered by conventional wisdom.